Spring planted bulbs & bare roots provide color, fragrance and the added benefit of attracting pollinators to your yard and garden. Birds, bees, and butterflies are essential for the health and growth of plants everywhere, and Three Rivers offers flowers to attract them. Simple, easy fundraising. Nothing says spring like colorful tulips and daffodils blooming after a grey winter. Tulips and Daffodils are some of the most recognizable spring flowers but there are many more to choose from in our Fall Bulb Fundraiser. Direct shipping to customers makes this a simple and easy fundraiser for your organization. 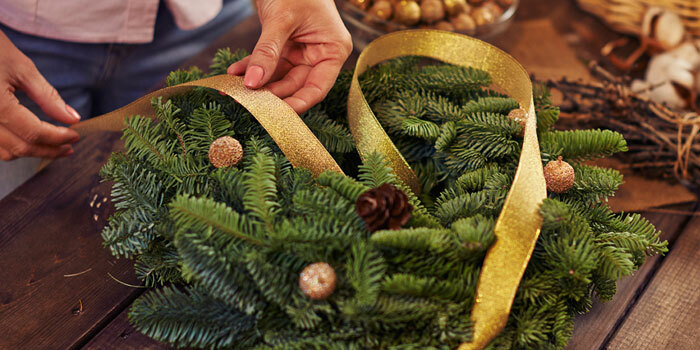 Holiday Wreaths recall the nostalgia of a simpler time and, make wonderful gifts! Their beauty, freshness and true balsam scent is sure to please anyone on your holiday gift list.